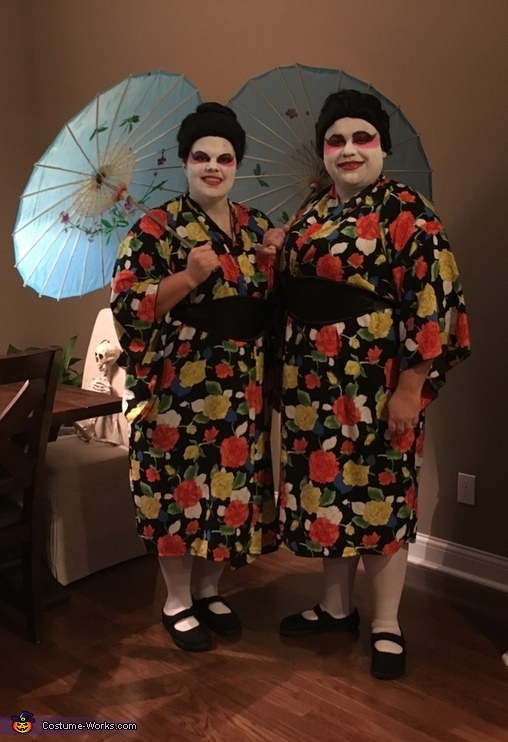 This is a picture of my husband and I being twin geishas. I came up with the idea. We ordered our costumes from Amazon and I did our makeup. We won the costume contest at a Halloween Party we went too.